"There's a new finished quilt in the house and I have to say I'm in love. 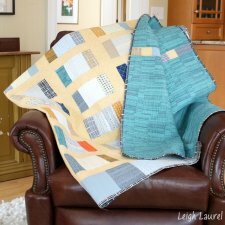 This is the latest free shortcut quilt pattern by Fat Quarter Shop. 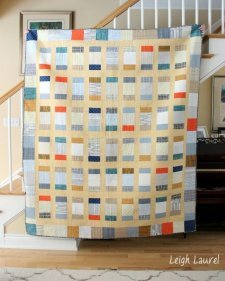 It's called the Charm Box Quilt, and I enlarged it to make a twin size for my three-year-old son's bed. I knew right away that it had to be made with Doe charm packs, so with the Architextures Crosshatch in Curry for the sashing, it's a bit of a Carolyn Friedlander fest." 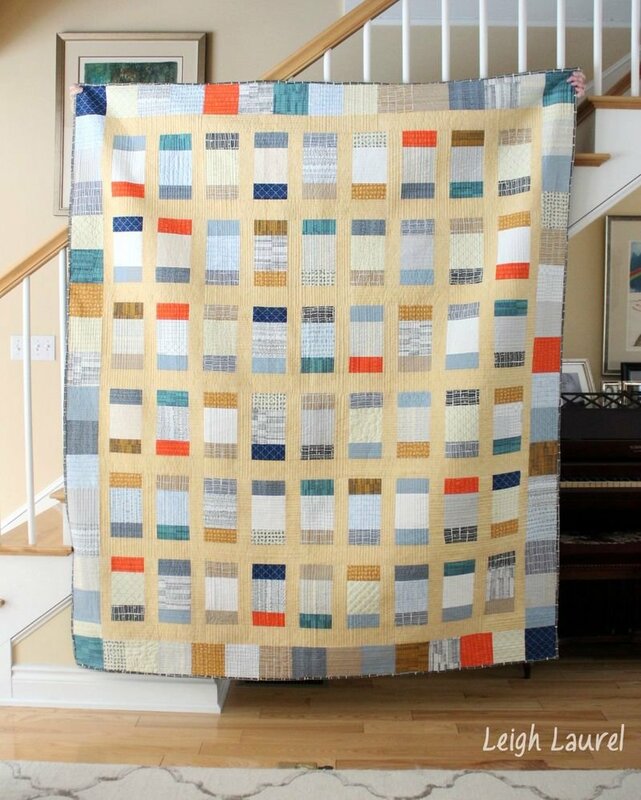 Click here to download the original quilt pattern from FQS!